HPS Silicone Hump Coupler Hose features multi-ply reinforced high temperature material, for which meet or exceed SAEJ20 Standard. 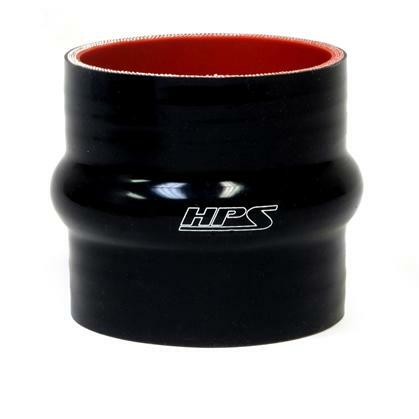 HPS Silicon Hump Coupling Hoses are used by professionals in industries such as high performance racing vehicles, commercial truck and bus, Marine, agricultural and off highway vehicles, turbo diesel, food and beverage, and general manufacturing industries. HPS Silicone Hump Coupler Hoses allow for expansion, movement, and extreme vibration between two hard pipes while reducing the possibility of connections coming apart or having your hard pipes or other equipment break. HPS carry wide selection of sizes, for which are available in both standard inches and hard-to-find Metric sizes. In order to meet the high demand and shorten the turnaround time, up to 90% of silicone couplers are instock and ready to ship or pickup from HPS store. Silicone hose is compatible with water or anti-freeze such as coolant.